We can all agree that Siri is here to stay! Siri is a fantastic addition to the iOS platform, in fact companies like Google and Microsoft should be worried. Siri (which is still in beta) is running extremely well, there are some bugs, but not many! For the most part Siri is extremely smart. Obviously Apple is a company that doesn’t waste any time, so obviously Siri is being improved over time! 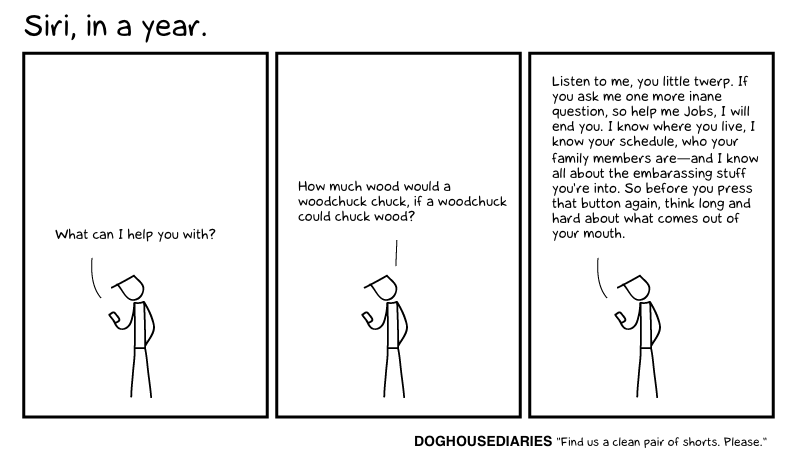 With that in mind, ever wonder what Siri will be like in a year? Well the picture above sums up that question. Let us know what you think of the image above in the comment section below!